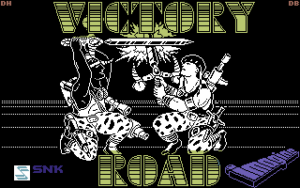 I’m not completely sure why we haven’t looked into this one before, but it was flagged up recently on the Lemon 64 forum about if a UK release of Victory Road ever existed. So did it? 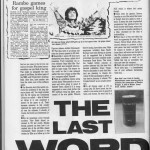 Well between 1987 and 1989, Imagine Software have advertised the game as being released for the C64, Amiga, ST, Spectrum and Amstrad platforms. 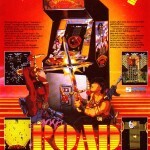 Certainly all the other platforms got a release, including the ZX Spectrum version. 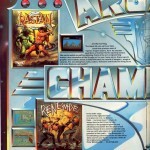 The C64 version however never seemed to get a review in any of the magazines. 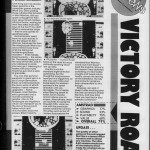 Although i’m sure I have seen a write up in the likes of CU or CCI on the C64 version, I could not find the said review – and am wondering if I have in fact just got mixed up with the Amstrad review in an issue of CVG. 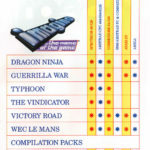 If anyone knows of a C64 review in any of the UK magazines, please let us know! 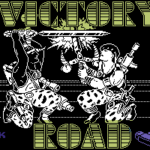 Interestingly, but nothing uncommon, but Victory Road did see release in the US by the infamous Quicksilver company who did the very poor Ikari Warrior ports, in fact seemingly by the same developers. 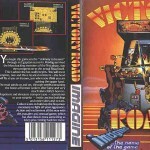 This was back in 1987 though, which suggests that it is likely that Imagine had their own UK version in development. 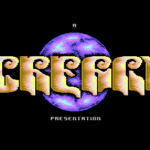 It is early days yet – but now we begin asking those at Ocean Software if they can recall anything of the development and if they really did intend to just re-release the US version. Maybe this was the problem – was it problematic trying to convert the US version to tape? Ross Sillifant found a snippet from CU which suggests that Ocean cancelled the C64 version. It almost suggests they had two versions cancelled, but they are most likely referring to producing a playable game as the US version was terrible. 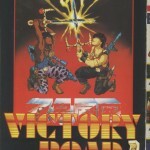 So who was behind the C64 version? Also are there any clues to be found in the instruction manual for the released versions? 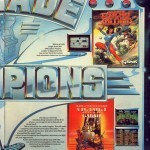 Any C64 specific credits or instructions that can be located? In 2017, we recovered what seems to be a loading screen from the game which was produced by David Bradley. It was found by Dean Hickingbottom, but he couldn’t recall where it came from. 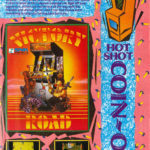 It seems that Video Images could well have been behind the UK conversion of the game, or were meant to be anyway! 🙂 Check your email, sent you mag scan from C.U on this one (and few others).Looks like there were 2 attempts to code a playable version.Both failed.